Julian grew up in Prince Frederick, MD before attending Stony Brook University where he graduated with a B.S. in Physics and Mathematics and a minor in Chemistry. 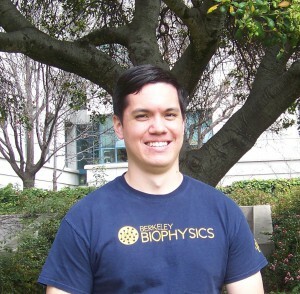 He is a 5th year in the Biophysics Graduate Group and is a joint student in the lab of George Oster. Julian is using a combination of live cell fluorescence microscopy and mathematical modeling to investigate how the protein machinery of clathrin-mediated endocytosis is able to overcome the physical barriers to membrane remodeling.